I bought this, will post some more after I pick it up tomorrow. 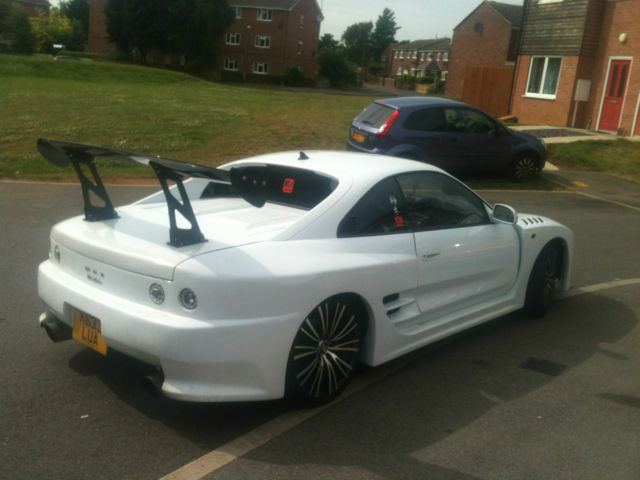 I've got some better wheels on my current MR2 which is dead and most of the junk will be going back on ebay as its far to chavvy for me although the wife loves the interior. Hopefully a few weekends will see a ten fold improvement assuming the kit is fitted well it should be quite nice. Will need a new boot and will try to find a good spoiler or a Rev 5 one if I cant find a decent replica one. You should stick a thread up on here outlining your progress! Well its mine, picked it up today. Really nice bloke bought it to cruise about in and loved it but it is in a bad way. On the plus side it seams mechanically sound and quite strong, on the down side (other than its current looks) it appears to be an import N/A that has been converted to Turbo, it has no PAS or ABS. The spoiler and rear lights have really grown on me though after following the wife driving it for 100 miles or so bringing it home. Thread to follow.